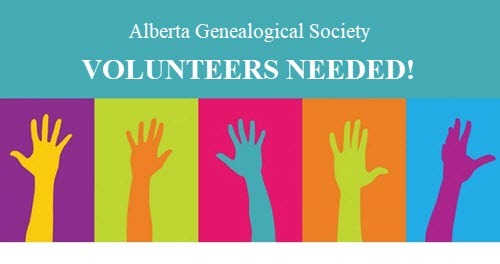 The Alberta Genealogical Society is a society that relies on its members to provide leadership and services in different areas of the organization. Please consider offering your talents and time to the Society as a Committee Chair to ensure that the objects of the Society can be achieved. Most positions are for a one-year term with no limit as to how many terms one can remain in the position. (Currently under review.) Details of the position responsibilities are included in the Operations Manual of the AGS and an orientation is provided by the Outgoing Chairperson with continuing support from the AGS. For additional information contact the AGS office at 780-423-8902 or your Branch President. Your willingness to serve as a committee chair in one of the following areas is essential to the ongoing functioning of the Society. The following are other chairs that are appointed by the Board of Directors. If interested in any of these positions please let the nominating committee know.